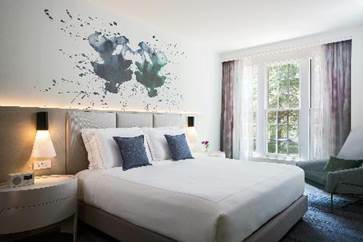 Kimpton Lorien Hotel & Spa in Old Town Alexandria has completed a $2.5 million redesign. The refresh included the hotel’s 107 guest rooms, outdoor terraces, hallway corridors, public areas, and 5,600 square feet of meeting space. Design firms MONOGRAM at BBGM led the guest room, corridor and suite design concepts, and David Hill Design refreshed the living room and event space décor. At the end of 2016, the hotel’s adjacent restaurant, BRABO, expanded its bar to double in size, and it also was included in the property’s redesign. Xenia Hotels and Resorts, a real estate investment trust that invests primarily in full-service and lifestyle hotels, owns the Lorien Hotel & Spa, located at 1600 King St.